Whether the sun has just dipped behind the mountain on a warm summer day or you have just come down the hill after tearing up the slopes and snow still covers the ground, there is nothing quite like grabbing a cold one and hunkering down next to your fire pit under the starry sky. 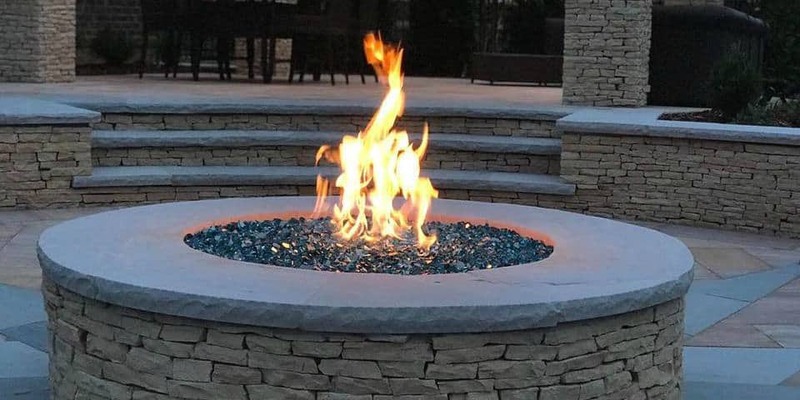 You have dreamed of having an outdoor fire pit in your backyard since you bought the house and now it’s time to make it happen, but you really have no idea where to start! There are many key factors in building that perfect fire pit. If you are going the gas route, the most important is surely choosing the right burner. 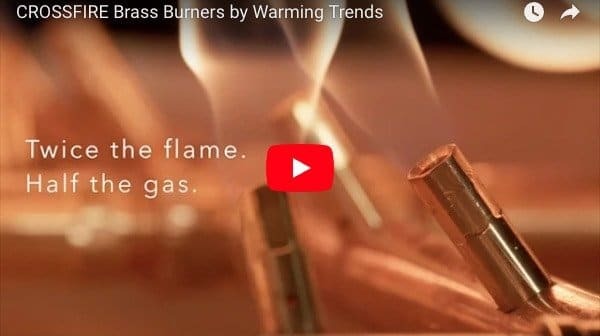 Crossfire burners are a unique product produced only by Warming Trends and can only be purchased from Authorized Warming Trends Dealers. 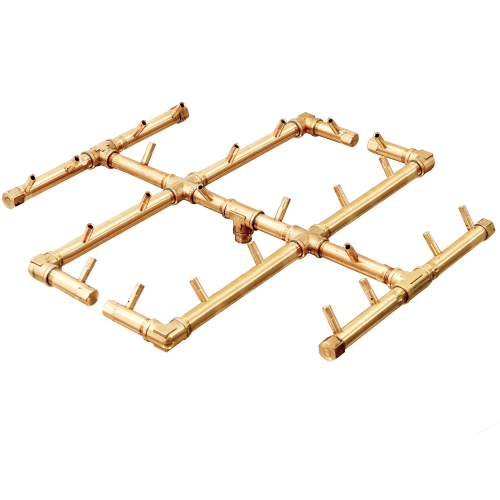 Not only do they look sleek, but they also offer the most heat possible with less gas use than most fire pit burners. Let’s take a look at what makes Crossfire burners the best burner out there for your fire pit. 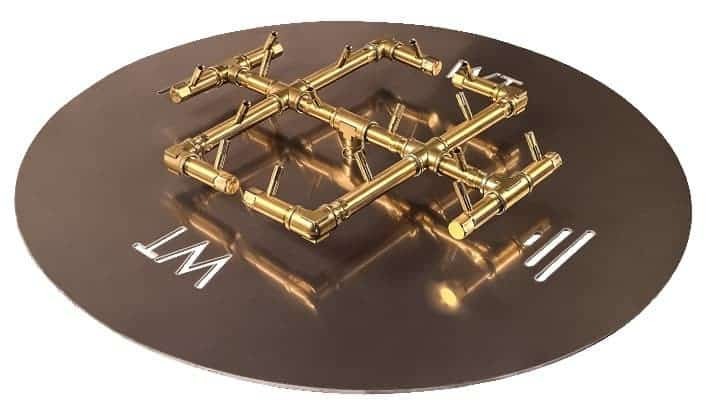 What Makes The Crossfire Brass Burner So Unique? 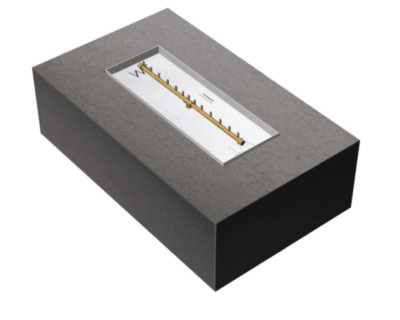 The Crossfire Brass Burner offers a uniquely tall and impressively warm flame while staying efficient with gas use. At the point of combustion (where gas meets flame), the Crossfire burner is dialed in to use a perfect gas to air ratio to create a flame that not only resembles a true wood fire but is larger and brighter than other burners. The Crossfire Burner uses Venturi Jet flow to pull more oxygen into the jet chamber where it meets high-velocity gas flow to create a beautiful flame for your fire pit. Furthermore, the use of 100% brass in your Crossfire Brass Burner means that it will resist corrosion and will not rust. This is a huge advantage over stainless steel burners. 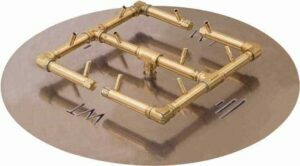 With the Crossfire Brass Burner, the need for a replacement goes out the window! Are you the type that enjoys the challenge of building your own… everything? Then a DIY fire pit might be the project for you! Ensuring that your burner is correctly assembled is important to both safety and gas efficiency. We offer the best burners ready for your DIY gas fire pit. Once you have decided on the type of enclosure you want, check out our burners for sale and assemble to your desire. Then pop it into your enclosure, have your gas technician connect it, fill with fireproof media of your choice, and you’re good to go! When choosing a burner, there are typically two types: Standard and High Capacity. The only real difference between the two is the amount of gas that is pushed through the system and, therefore, the size of the flame produced. For smaller fire pits, a standard fire pit burner is usually fine. 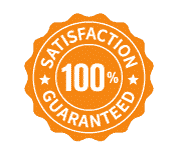 However, if you are building a large fire pit, then you probably want to look for a high capacity burner that has larger openings to produce a larger flame. 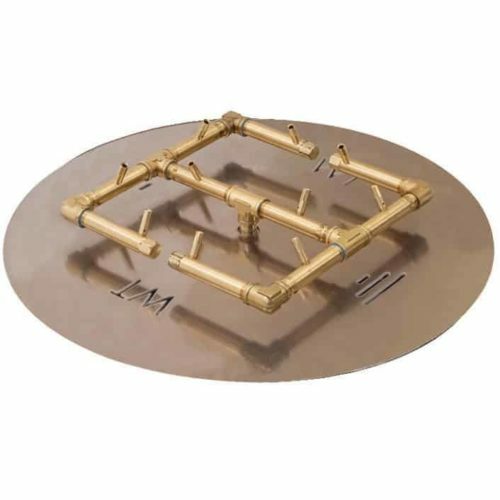 At Montana Fire Pits, we offer many different options for easy to assemble fire pit kits using the Crossfire Brass Burner. 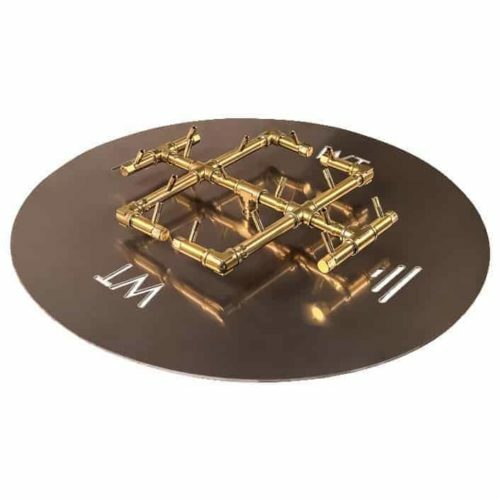 Whether you are looking for an easy round ceramic type fire pit or a larger ready to finish enclosure, our kits come with easy to assemble burners and media. Check out our website options to get started on your gas fire pit kit today!